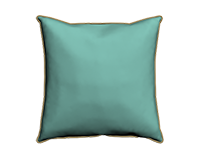 Now you can truly see how your cushions and pillows will look before you order them by applying any of our fabrics to your custom designed creations. 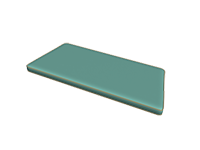 Our interactive design tools also make sizing your cusotm pads easier than ever with true-to-scale diagrams. 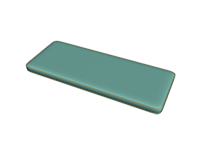 You can even create your own custom shapes with our unique custom shape designer. Create stunning, colorful cushion ensembles for your deep seating indoor or outdoor furniture and modular sofas and couches. 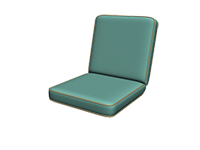 Available in either boxed edge or waterfall construction, you can dress your deep seat chair or chaise lounge in vivid Sunbrella fabrics and accent your creations with piping for added elegance! Simply enter your sizes and apply your fabric to order. A little extra comfort can go a long way when relaxing in your yard, so why not add some matching throw pillows to your furniture collection? 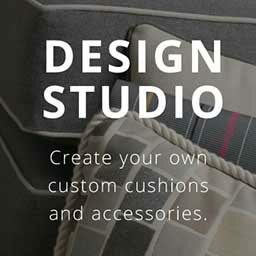 Design your own bolster style pillows or square and rectangle throw pillows in real-time with our powerful design system and see your creations as you select the fabric and trimming of your choice. We take great pride in our highly professional craftsmanship and exceptional quality standards. 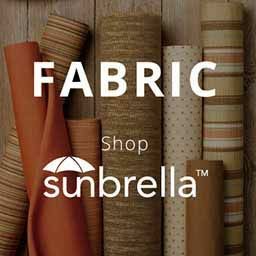 To ensure our customers are getting the very best, we fill all of our cushioning products with the highest quality heat-bonded Dupont® polyester fibefill and offer an extensive selection of high quality Sunbrella brand indoor/outdoor fabrics. 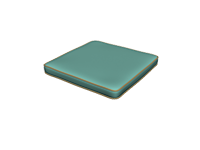 Welcome to Custom Cushions, the premier online shop for high quality designer cushions and pillows. CustomCushions.com takes great pride in bringing our customers the highest quality American made cushions and pillows possible using only the finest fabric choices from Sunbrella, Dupont® fiber filling and the toughest thread available to ensure your cushions can be used for both indoor and outdoor furniture. 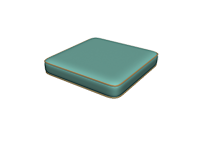 With the most powerful cushion and pillow design tools available online from the pioneers of online cushion design software, you can create just about any type of cushion you need. 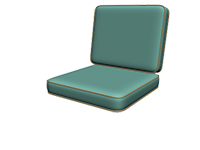 Chair cushions, chaise cushions, bench pads and seat cushions are offered in several different styles and shapes which can be easily customized for an exact fit. Our cutting edge ordering system is unmatched in the industry. 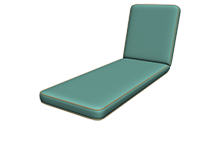 Customize and create designer cushions with our interactive real-time cushion design technology that utilizes realistic computer models and true to scale diagrams. 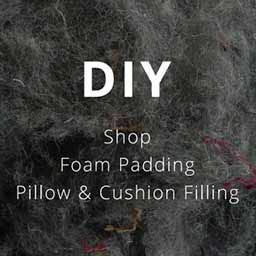 You can truly see how your cushions will look as you build them!